Giftster adds a simple way to manage accounts for kids, pets and others right inside the member’s own account. 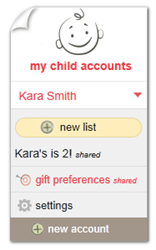 Giftster, the “set it up once, use it for a lifetime” gift registry now includes child accounts. A child account is an account within an account that does not require a separate sign in. Now, for example, a Giftster member can create and manage accounts for their small children from within their own “parent” account. 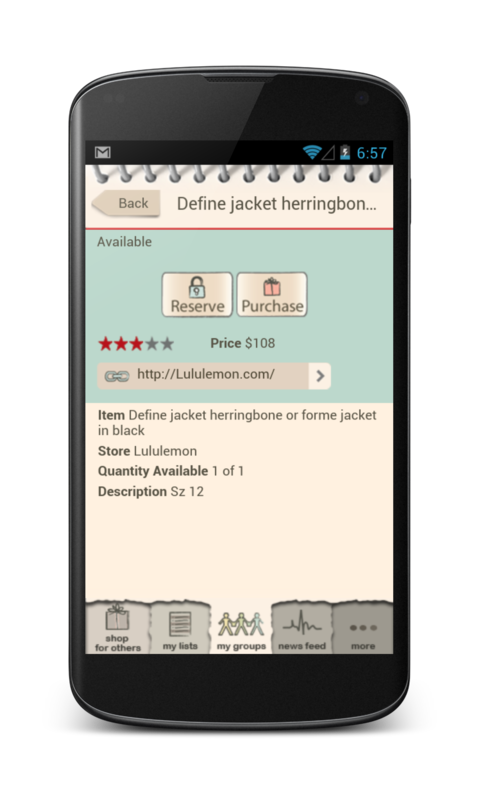 The parent and the children’s names all show up in the family group, making it easy to find and reserve gift ideas on everyone’s wish lists. Giftster is one of the new social networks that serves a niche with a specific purpose, creating a smaller, private social network specifically for connecting family and close friends around gift giving occasions. 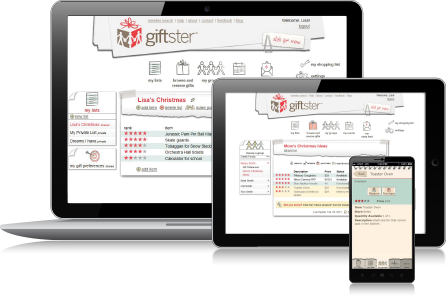 “Giftster cuts out the stress of gift planning for your family & friends,” says Angela Alcorn of the popular makeusof.com review website. By creating a central place where each family member can keep a wish list, and can check the wish lists of others, Giftster helps members give and get the gifts that matter most. With the new Giftster child account feature, a member can create any number of additional accounts within their own account for children, pets, dependents, or perhaps other family members that are less tech savvy but still want to participate in their family’s Giftster group. The child account feature is available now to all Giftster members. Child account lists may be viewed from all Giftster platforms including giftster.com, the iOS app, the Android app, and the mobile web app at m.giftster.com Child account management is initially available on giftster.com. Giftster is the permanent, lifetime gift registry for families and close friends. Giftster is the central place for families to post and maintain shared wish lists and gift preference profiles, accessible only to members of that family. Unlike event-based wedding or baby registry services, Giftster is used year around as a permanent family reference point at gift giving occasions. Giftster is independent of any one retailer, and one member of the family administers the group to maintain privacy and decide who is included in each group. Giftster synchronizes instantly among versions for the web at giftster.com, for iPhone at Apple iTunes, for Android at Google Play, and other small screen browsers at m.giftster.com. Giftster is a registered trademark, and "lifetime gift registry" is a trademarks of MyGiftster Corporation. Press resources located at http://www.giftster.com/press/.